Who does not know General Sudirman, one of the Indonesian war strategist who contributed to Indonesian independence. What is so special about this national hero, he remained persistent to set guerrilla attacks against allied forces when in Indonesian pre-and post-independence, although he had to be stretchered anywhere because of his tuberculosis disease. In the second Dutch military aggression 1948, Yogyakarta which became the capital of the Indonesian state was occupied by Dutch. 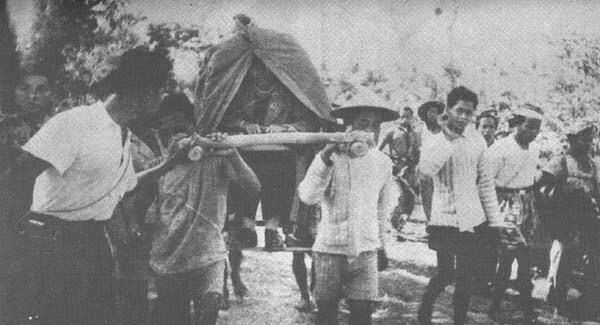 Soedirman who was weak and ill forced himself to participate in the war against the allied forces. 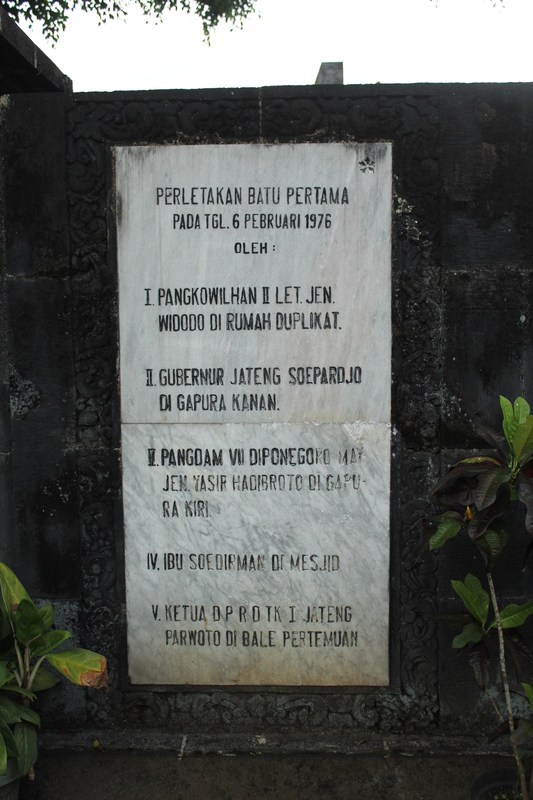 Stretchered from one to other mountains and forests for approximately seven months, he led the attacks and supported Indonesian army to fight. 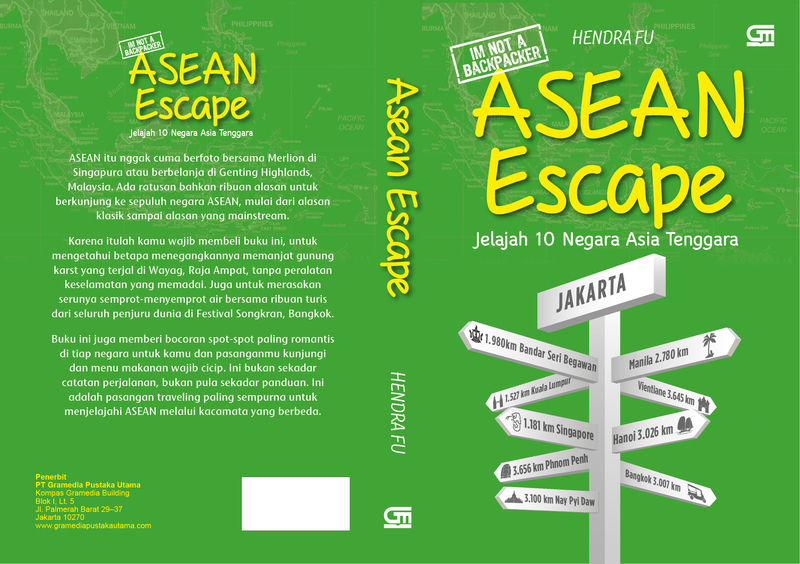 Although President Soekarno asked him to go back home and have rest, he refused and kept struggling til the last breath. 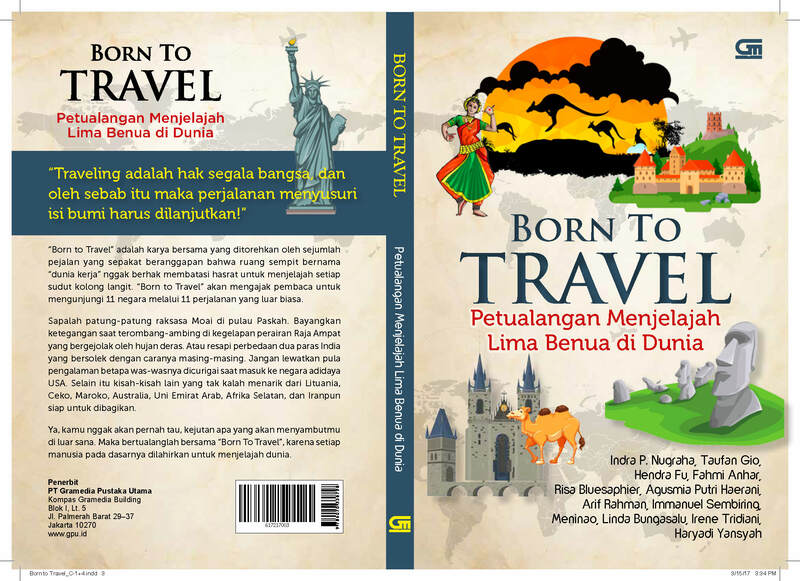 My next stop was Purbalingga. 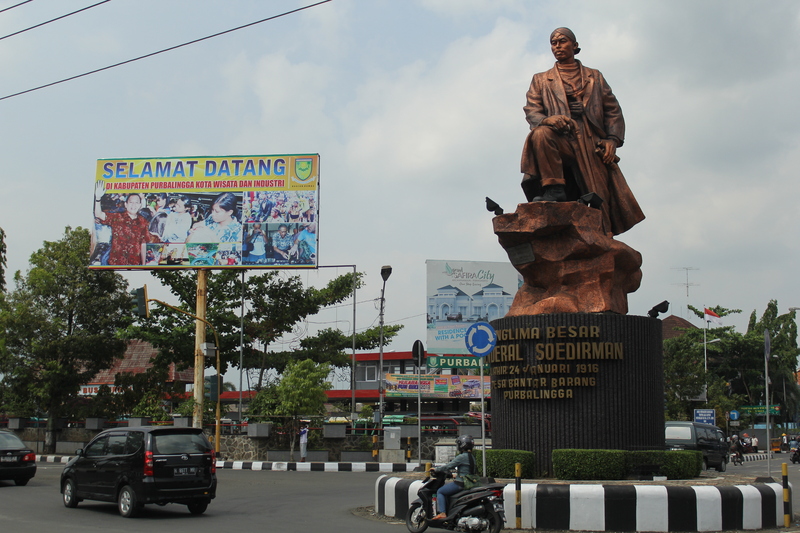 Passing through Jendral Sudirman statue, I was tickled to pay a visit to his birthplace in Bodaskarangjati village, around one hour riding a bike from the city. 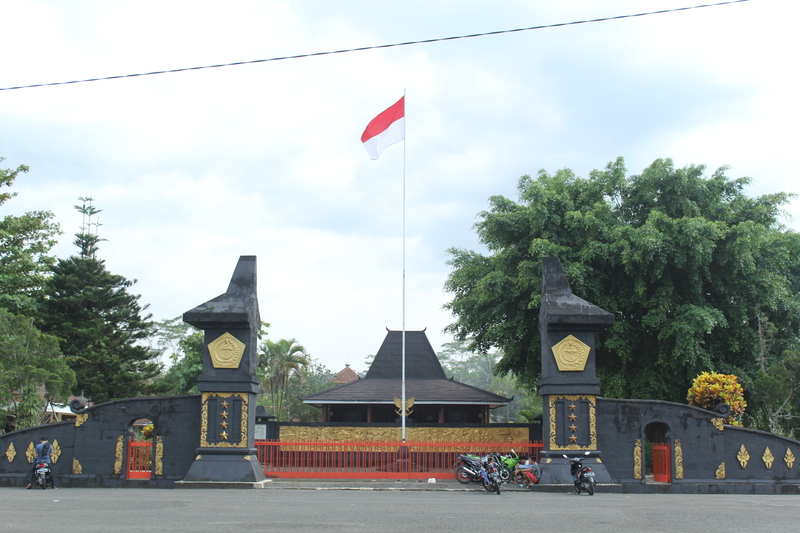 Monumen Tempat Lahir Jendral Soedirman (General Soedirman Birthplace monument) becomes the place where the replica of Soedirman parent’s house is built. This monument was built in 1976 and was inaugurated on March 21st 1977 as a tribute for his struggle. 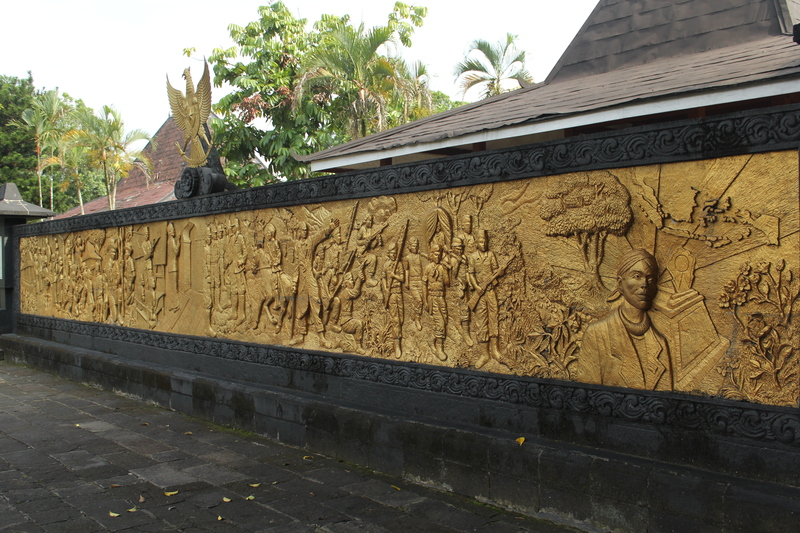 Lets start the tour from its yard, we will be welcomed by one long golden relief war which tells about Soedirman struggle during his life for Indonesia. 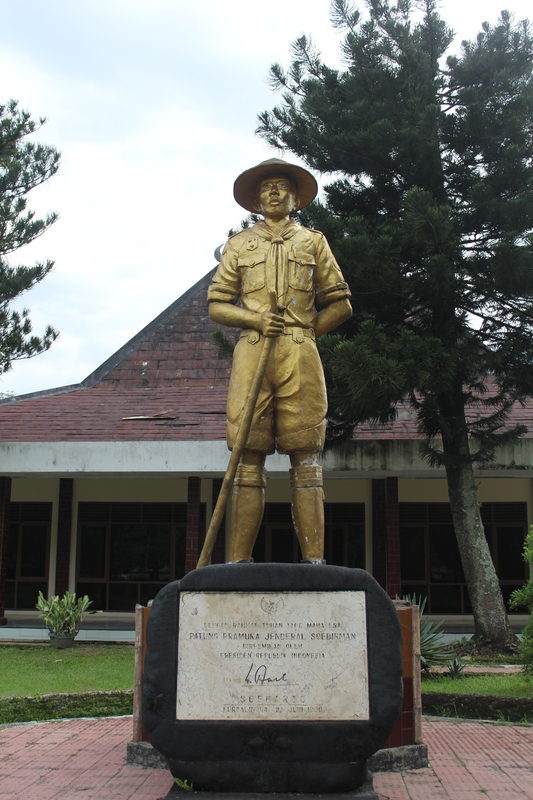 On the left side of the relief wall, there stands young Soedirman statue when becoming a boyscout. 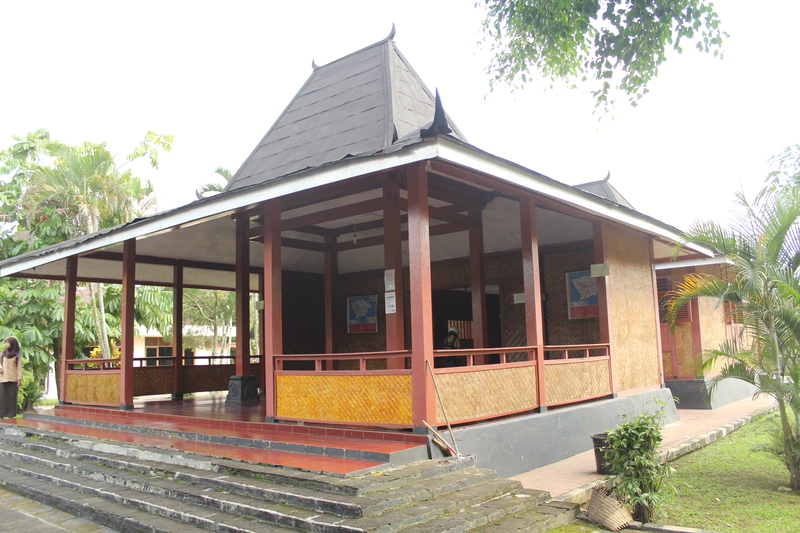 On the right side we can see a mosque and a library which provides some historical books about Soedirman. And the house is becoming the main site to visit. 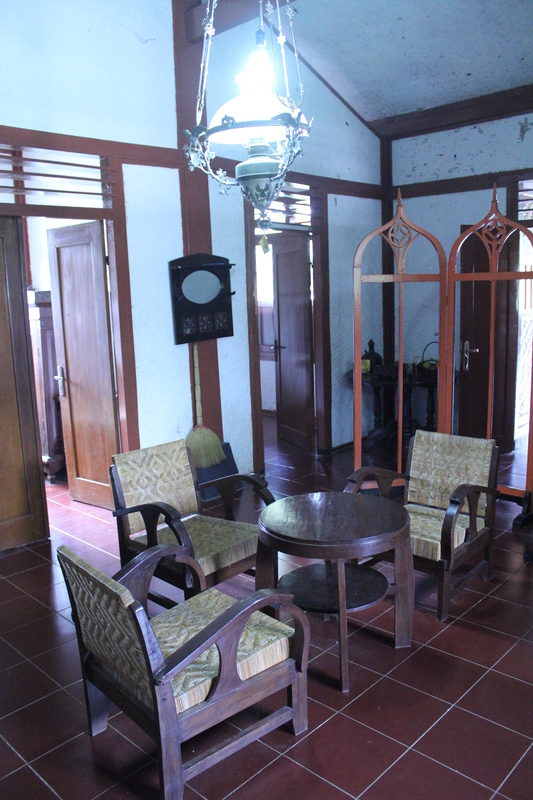 That is the replica of the house where Soedirman was born on January, 24th 1916. Getting inside the house, we can see some furniture replicas which were used at past. 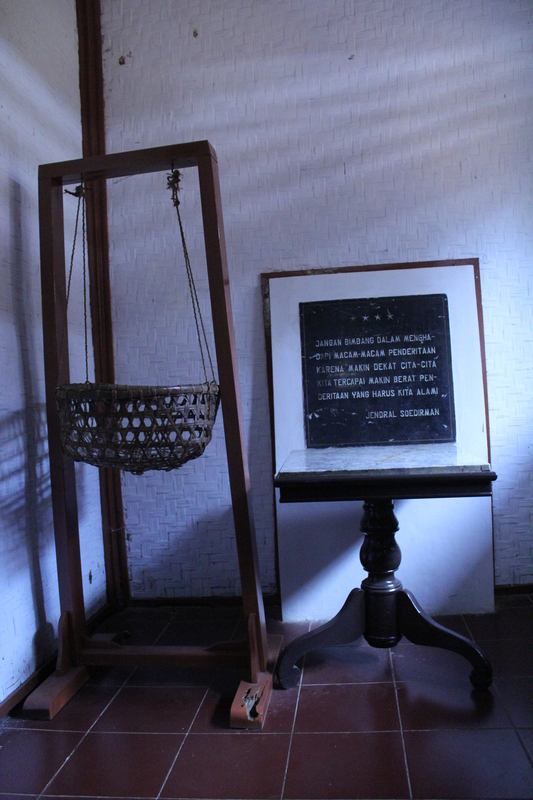 In one room, there is a swing replica used to cradle baby Soedirman, while in other room, there’s found one bed covered by nets. 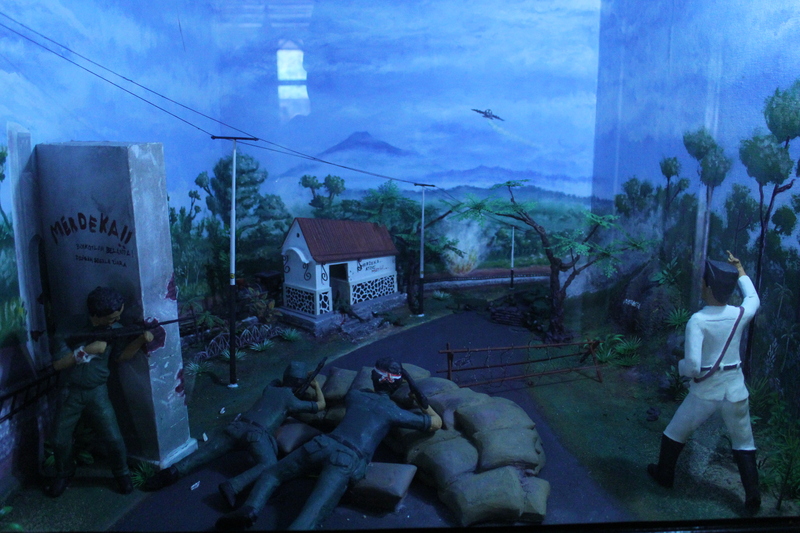 At the main room, there displays diorama of Soedirman history since he was born until his last struggle.